Dorothy Grace Roberge passed away peacefully at 10:45 p.m. December 13, 2009, surrounded by loved ones at the age of 72 years in the Swan Valley Health Centre. Dorothy was the youngest daughter of three girls born to Florence and Roy Jamieson. She was born April 20, 1937 in Flin Flon, Manitoba. Her father Roy was killed when she was three years old and was raised by her step father Andrew Jamieson. During her time growing up in Flin Flon, she was a member of the glee club, taught Sunday school, and sang in the Anglican Church choir. In her teen years she babysat and delivered papers. She met her husband Maurice (54) at the home where she babysat. She attended Success Business College and for a short time, worked at HBMS. After being courted for two years, she married Maurice on November 19, 1955 after he returned from a tour of duty in Germany. During the first part of their marriage they lived on many military bases which included Calgary Alberta Camp, Borden Ontario Camp, Gagetown New Brunswick Camp and Petawawa Ontario Camp. While living in Calgary they had three children Denise, Marcel and Gaylene. When Maurice was released from the military they moved to Thompson. Dorothy was involved with the ANAF Ladies Auxiliary. They also started to raise their grandson James. In 1990, Dorothy, Maurice and James moved to Bowsman, Manitoba where they lived for fifteen years. During that time she enjoyed the many flowers and fruits and vegetables that they grew on their property. She became involved with the St. James Anglican Choir. She enjoyed knitting and created several afghans for all of her loved ones, and prayer shawls for ministry. In 2005, Dorothy and Maurice moved to Swan River, Manitoba. She is predeceased by her parents, Ray, Florence and step-father Andrew. 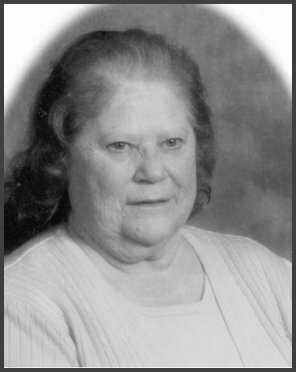 She is survived by her loving husband Maurice; daughters, Denise (Remi) and Gaylene (Raymond) and her son Marcel (Barbara); two sisters, Jean, and Louise; eleven grandchildren, James (Suzanne), Trent, Travis, Elana, Laurence, Luke, Matthew, Nicole, Marcel and Maurice and Genevieve, and three great grandchildren, Brooklyn, Brianna, and Joshua. Funeral services were held on Friday, December 18, 2009, at 2 p.m. from the St. James Anglican Church, Swan River, Manitoba. Venerable Ton Stradwick officiated. Following the service, Dorothy was laid to rest in the Birchwood Cemetery, Swan River, Manitoba. Should friends so desire, memorial donations in Dorothy's houour may be made to the Canadian Diabetes Association or to the Alzheimer Society.